Give your entire team an opportunity to build championship skills and take their game to the next level utilizing the Deliberate Practice Principles. This is an excellent opportunity to train privately with your best squash buddies. Improve your game in a fun and relaxed setting, while getting a high intensity workout. The classes are designed for 2 to 6 players so everyone gets personalised attention. You can choose a time and location that best meets with your convenience. You can work with your coach on a specific aspect of your game which needs improvement. Your coach will devise lessons aimed at the area you and others want to focus on and work to make sure that everyone gets their desired outcome from each lesson. Your club is looking for a team coach, Aaron Frankcomb is available to travel to you provided the club books in a minimum of 3 hours in succession. 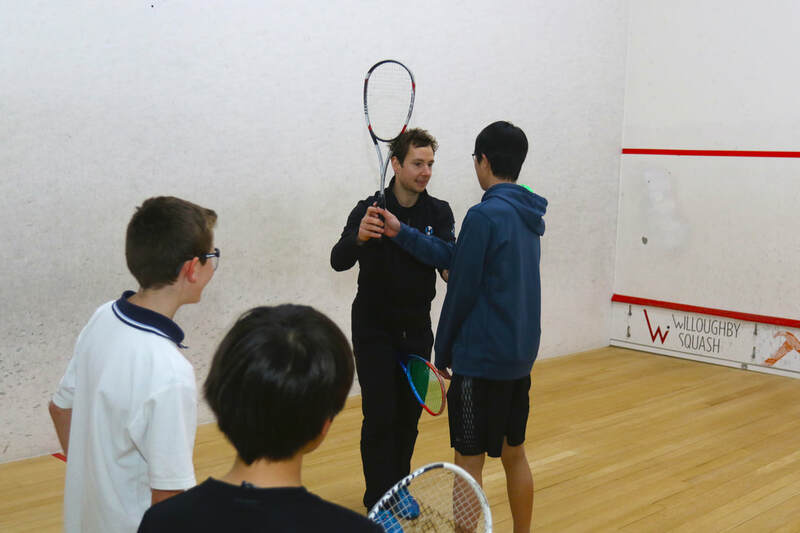 To enquire please contact "aaron@eastcoastsquashacademy.com.au"
All private group lesson fees include court, racquet and equipment hire for our sessions. Currently Number 1 in NSW and in arguably top 4 in Australia, Aaron will guide you to develop advanced skills to take your game to the next level regardless of your age or current ability level. Aaron reached an impressive #38 in the World PSA Rankings (winning 4 PSA titles in total), played 8 of the world’s top 10 players, in 2009, won the Premier Squash League in England (the strongest squash league in the world and represented Australia at the World Team Championships and Commonwealth Games.